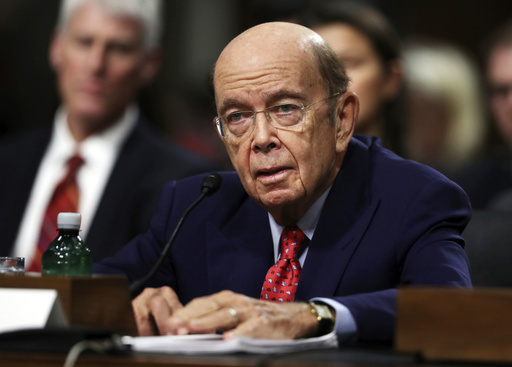 WASHINGTON (CN) – The Senate on Monday night confirmed billionaire investor Wilbur Ross as President Donald Trump’s commerce secretary. Following a string of contentious, partisan votes on Trump’s nominees, Ross enjoyed relative bipartisan support, receiving approval from the Senate by a 72-27 vote. After Democrats walked out of or delayed some committee votes for Ross’s new colleagues, the 79-year-old coasted through his confirmation process, receiving a voice vote from the Senate commerce Committee at the end of January. Ross compiled his estimated $2.9 billion net worth by turning around failing steel, textile and coal businesses. He was the chair of W.L. Ross & Co., and served as an economic adviser to Trump during the campaign. He was critical of the Trans Pacific Partnership, a trade deal that Trump pulled out of as one of his first acts in office. The Senate has now confirmed 15 out of 22 Trump Cabinet or Cabinet-level picks requiring confirmation. Shortly after Ross’s confirmation, the Senate cleared the way for a vote on President Trump’s nominee to head the Interior Department, Rep. Ryan Zinke. Senators voted 67-31 Monday evening to limit debate on the Zinke, and a final vote on confirmation could occur on Tuesday or Wednesday. During his confirmation hearing, the Montana Republican rejected Trump’s claim that climate change is a hoax, saying it is indisputable that environmental changes are affecting the world’s temperature and human activity is a major reason. The Interior Department and other U.S. agencies control almost a third of the land in the West and even more of the underground “mineral estate” that holds vast amounts of coal, oil and natural gas. As for Ross, he told senators the Trump administration will work quickly to re-do the North American Free Trade Agreement. That’s the massive trade pact with Canada and Mexico that has boosted trade but still stings laid-off workers across the Midwest. During the presidential campaign, Trump criticized U.S. trade deals, including NAFTA. Trump’s stance on trade is at odds with many Republicans in Congress, but it endeared him to some voters in the Midwest who believe trade deals cost American jobs.